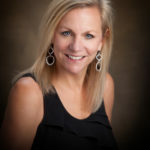 East West Destination Hospitality recently announce that it has promoted Gaye Steinke to the position of Vice President of Spa & Wellness at the growing company, which manages more than $2.5 billion in vacation rental assets at mountain resorts in Colorado and California. Steinke has been part of the East West family since 1998, serving as the driving force behind the creation of Allegria Spa at the Park Hyatt Beaver Creek and Spa Anjali and the Athletic Club at The Westin Riverfront Resort & Spa. Most recently she served as the General Manager of Allegria, Spa Anjali and the Athletic Club at The Westin, all of which won numerous awards, including being named to the “Top 25 Spas in the World” list by Conde Nast Traveler. A graduate of Boston College, Steinke is a former board member of the Green Spa Network who also helped develop the Spa at the Ritz Carlton in Lake Tahoe, California and Moonlight Spa in Big Sky, Montana. She also previously served as the General Manager of Vail’s Aria Spa & Club. In her new position, Steinke will continue to oversee the overall vision, direction and financial attributes of East West Destination Hospitality’s managed spa and club operations, including Spa Anjali, Allegria, the Viceroy Spa in Snowmass and the Vitality Center in Vail. In addition, she will play a key role in the creation of new East West Destination Hospitality spas and fitness club concepts in Hawaii, Denver and Snowmass. On top of its spa and fitness outlets, East West Destination Hospitality currently manages 80 homeowner associations for more than 13,000 individual owners. Named Colorado’s “Best Property Management Company” by ColoradoBIZ Magazine, the company prides itself on providing expertise in real estate and property management and the highest levels of customer service. For more information, visit www.eastwestdestinationhospitality.com or call 970.763.7126.